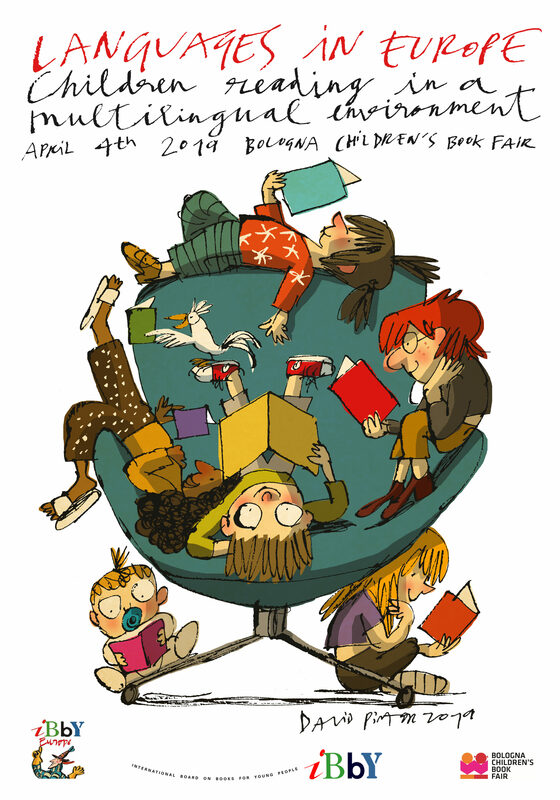 As the Italian Bologna Fiera 2019 drew to a close and we were all weary but enthused on its final day by yet another fantastic book fair, the IBBY European Regional Conference ignited huge interest amongst its delegates through its theme ‘Languages in Europe – Children Reading in a Multilingual Environment’. Dr. Christine Helot discussed bi/multilingualism to bi/multiliteracy and asked the question, why should children read books in different languages? We were introduced to the Universal Alphabet Project by French Graphic Designer Marion Bataille and then experiences such as Children’s Basque Literature; Mamma Lingua, and the ‘Discovery Bags’ of Children’s Books in Foreign Languages through Myrium Jeanne and Aicha Marok of the French Public Library of Chalons-en-Champagne. After lunch there was some witty and remarkably beautiful storytelling in a multitude of languages from Leila Garsi, Enrica Menarbin and Antonella Saracino before the conference delegates were presented with papers discussing publishing and distribution from as far afield as The Kalimat Foundation for Children’s Empowerment of the United Arab Emirates to the Reading Promotion in Latvia as an Integration Project for Minority Schools and Latvian Diaspora Centres. The afternoon closed with examples of European Resources from IBBY Belgium, Rhymes Everywhere from the Swiss Institute for Children’s and Youth Media SIKJM and The Anthology of Contemporary Children’s Literature of the Peoples of Russia. So many varied presentations and so much to think about as we finally left Bologna Fiera after its final day. Hasmig Chahinian, IBBY France and Pam Dix, IBBY UK created a day of huge interest to those of us who still had much energy left to discuss such important issues for all children everywhere. Until the next conference, thank you.